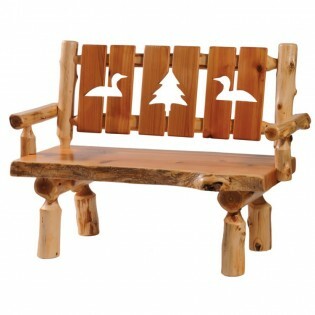 This rustic log bench with wildlife cutouts is the perfect accent piece for anywhere in your rustic home. You can choose from a selection of icons making it match your own rustic home decor. 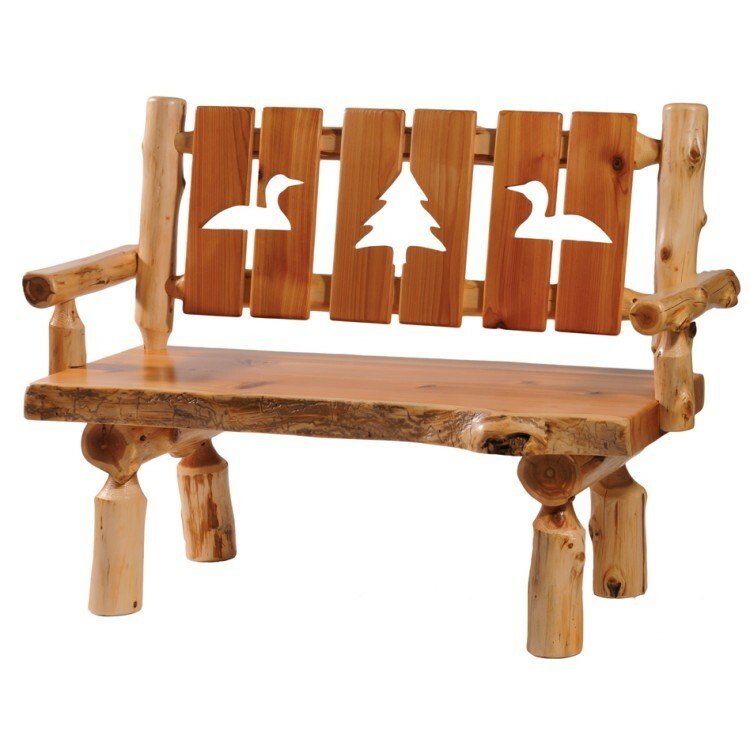 This rustic 3 Panel Log Bench with Wildlife Cutouts is the perfect accent piece for anywhere in your rustic home. You can choose from a selection of icons making it match your own rustic home decor. The bench is individually hand crafted and made of hand peeled white cedar logs bringing out the natural character and beauty. It is clear coated with a catalyzed lacquer finish for extra durability.